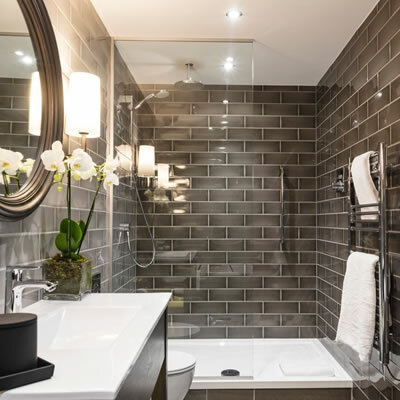 The Dakota Deluxe can be found located in the heart of Leeds City Centre, just a short walk from the central train station and shopping district. Those who know Leeds will be familiar with Greek Street, which has seen a recent growth in bars and restaurants including the likes of The Alchemist, Gusto and Neighbourhood. This is a modern development that is also surrounded by offices and therefore sees many corporate types, as well as tourists. 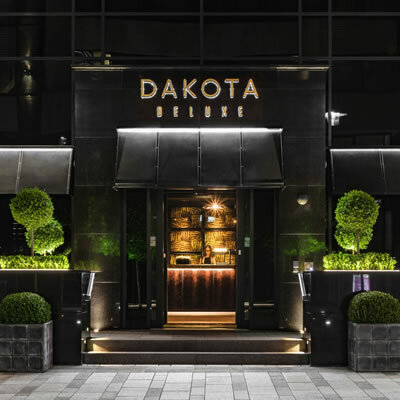 The Dakota Deluxe Group is a new player in the hotel scene and is the brainchild of renowned hotelier and Malmaison founder, Ken McCulloch. From the moment we arrived at the Dakota Deluxe, we were quietly confident that we had arrived somewhere rather special. As we walked through the entrance and made our way to the reception area, we admired the dark colours and low level lighting that has been used to create a warm, sophisticated welcome. We were soon greeted, checked in and shown on our way to our Signature Suite. Our journey to the suite was a complete joy. The corridors in this hotel are wonderfully elegant, and left us in great anticipation of our suite. As we entered our suite we knew we were not going to be disappointed with our choice of room. It was certainly not short of space, with around 55m2 to play with. 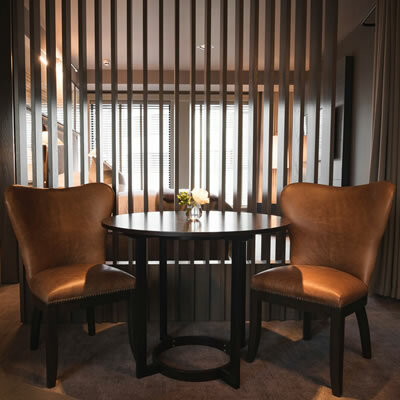 The feeling of luxury was ever-present throughout - the furniture was simply stunning, along with the fixtures and fittings which were all wonderfully luxurious and immaculately kept. 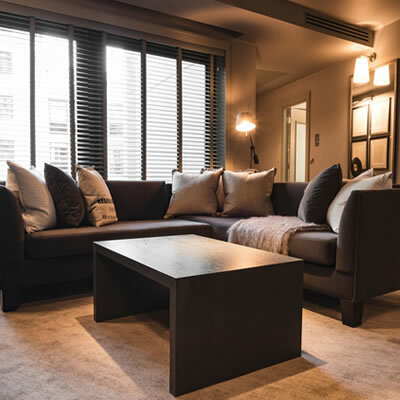 Our suite offered an open plan living area with a large corner-style sofa complete with plump cushions, a coffee table, dining table and a large wall mounted flat screen television, along with various lighting that allows you to create your own mood. In the bedroom area we found a super king sized bed which looked very inviting indeed, adorned with plump cushions and pillows. The bedroom offered another wall mounted flat screen television, as well as floor standing lamps, bed side table lamps and a host of intriguing wall mounted artwork. We were delighted to discover the suite’s large walk-in wardrobe which saw plenty of hanging space. There was also a safe for valuables and storage for luggage. For anyone looking to catch up on some work, our suite also included a good sized desk complete with a desk lamp. 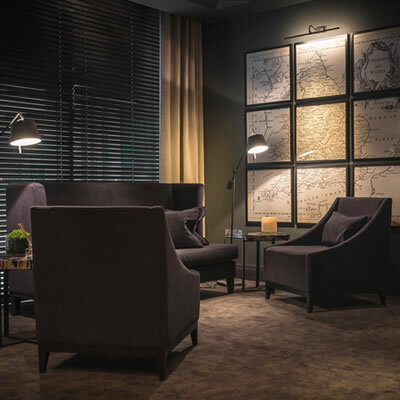 In terms of other facilities in the room, you can enjoy the media hub that allows you stream your own music via Bluetooth, there is also a Nespresso coffee machine, tea and coffee and a well-stocked complimentary mini bar. In the hotel itself, you will find their Bar & Grill in the basement that has a private dining room for groups of six to eight people. There’s also a bar and Champagne room on the ground floor which must be visited, and for the warmer months of the year you can enjoy their outdoor terrace, or their retractable-roofed conservatory and al fresco area. This offers the perfect setting for their Sunday brunch offering. The Dakota Deluxe in Leeds is the best thing to come out of this city. It truly is a place where an abundance of luxury can be enjoyed. We cannot wait to return.